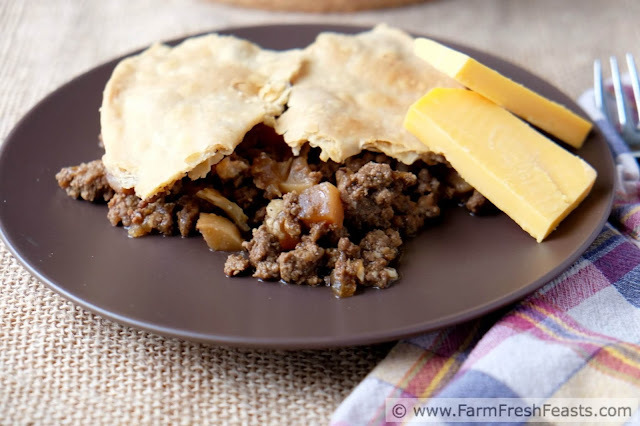 Ground beef and sautéed turnips topped with pie crust and baked in a skillet. 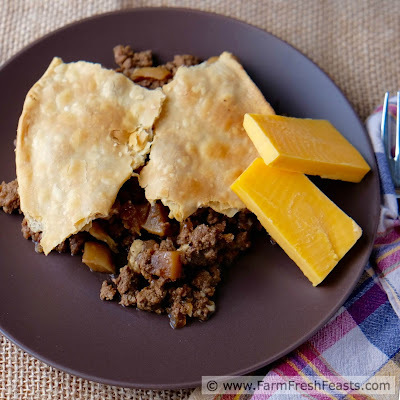 Hearty comfort food from the farm share. Can we talk about turnips? Well, it's my blog so I guess the question is rhetorical. Turnips are a cool weather crop that typically grows well for the farmers who've supplied our farm share. What grows well you tend to get in plentiful amounts. A decade ago, before I'd ever heard of Community Supported Agriculture (CSA) and when local eating was the tomatoes I'd grow each summer or the fruit we'd get at a 'let's take the kids, it'll be fun' pick your own outing, I rarely ate turnips. I had no recipes that called for turnips--but if rutabagas weren't available in the store when I wanted to make pasties I'd substitute a turnip. A single turnip, a few times a year. Instead of fighting the turnip, I'm embracing it's uniqueness. [Somewhat like my darling Robert Barker's uniqueness.] Sometimes the turnips stand alone, like in turnip pickles and turnip fritters. Most often, though, I combine turnips with meat or other vegetables. Sometimes I have failures, like the watery scalloped turnips and salami I shared on my FB page [I'm intrigued by Cindy's suggestion to brine turnip slices to draw out the moisture before cooking]. Other times I have a success, like this Beef and Turnip Pot Pie. This is a variation on my Beef & Bok Choy Pie, flavored similarly to a pasty but using ground, not cubed, beef. You can find all of my turnip recipes in the Turnip Recipes Collection, part of the Visual Recipe Index by Ingredient. 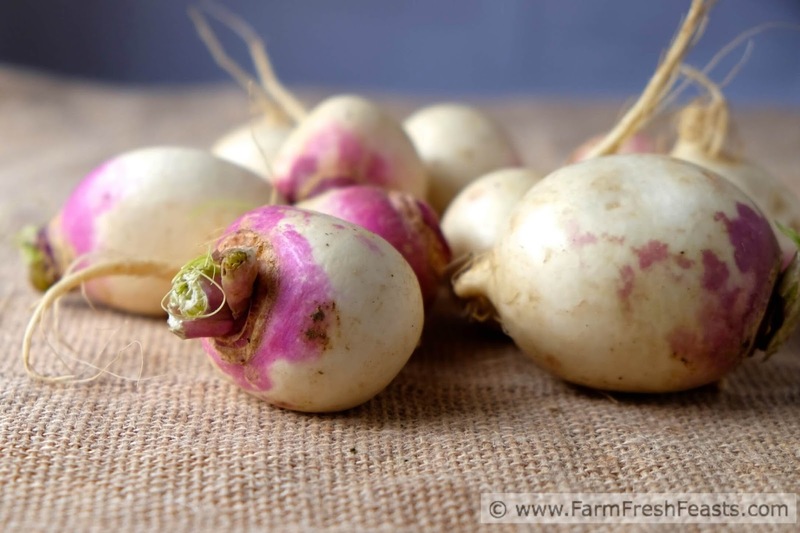 This is a resource for folks like me eating seasonally from the farm share, the farmer's market, or grocery store specials [not that I've ever seen turnips on special but you never know]. I've got turnip recipes pinned on Pinterest--you can follow me here. For more info on how to use this blog, click here. Preheat oven to 425 Degrees Fahrenheit. 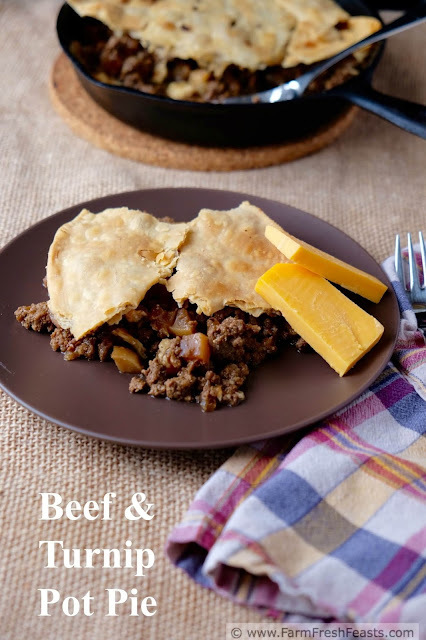 In a cast iron skillet (I like my 10 inch for this) sauté ground beef and onion over medium heat until no longer pink (the beef) and slightly softened (the onion), about 8 to 10 minutes. Add butter and turnips to the skillet. Stir to coat with fat. Cook with beef and onion until lightly browned, about 5 to 8 minutes, stirring once or twice. Add seasonings and water, stir well. Cook for about 5 minutes until the water has combined with the soup base to make a sauce and the beef and vegetables are moist but not runny. 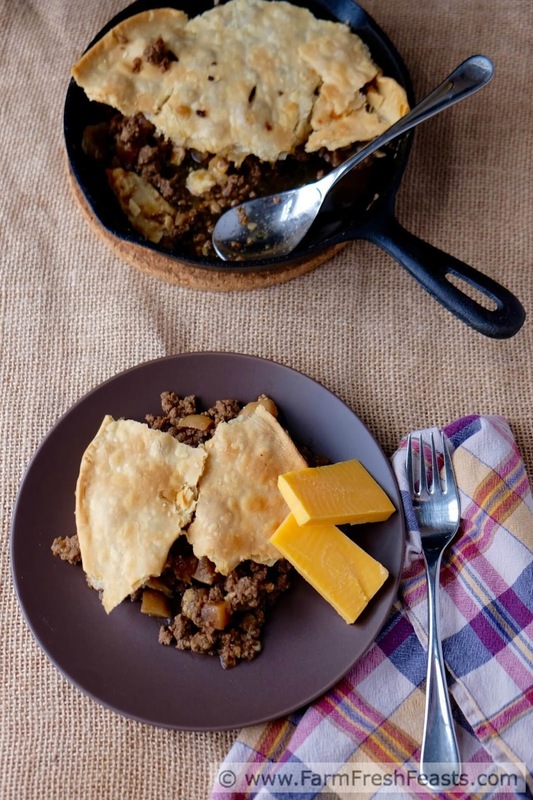 Add the pie crust to the skillet, tucking it in around the edges and poking a few slits in the crust. Transfer skillet to preheated oven. Bake for 15 minutes, then turn down heat to 350 and continue baking another 30 to 45 minutes until crust is lightly browned. Serve with a hunk of cheese. Hey--I added some share buttons to make it easy for my readers to share my recipes. 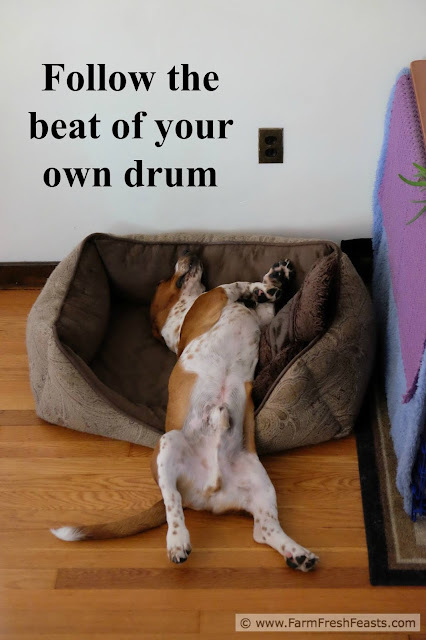 Rock on! Simple is good. I'm a big fan of simple! I'm also a fan of trying not to have a crisper full of turnips--glad I can help you with ideas! I come back to this recipe time and time again... it's so good! I made it tonight with one turnip, a few golden beets and sweet potatoes sliced REALLY thin for the bottom crust. Super tasty.